The peaceful island and village of Tinian is pretty unimposing these days on the surface. A small village with a massive $200 million casino along with some abandoned runways are basically what you see flying in. 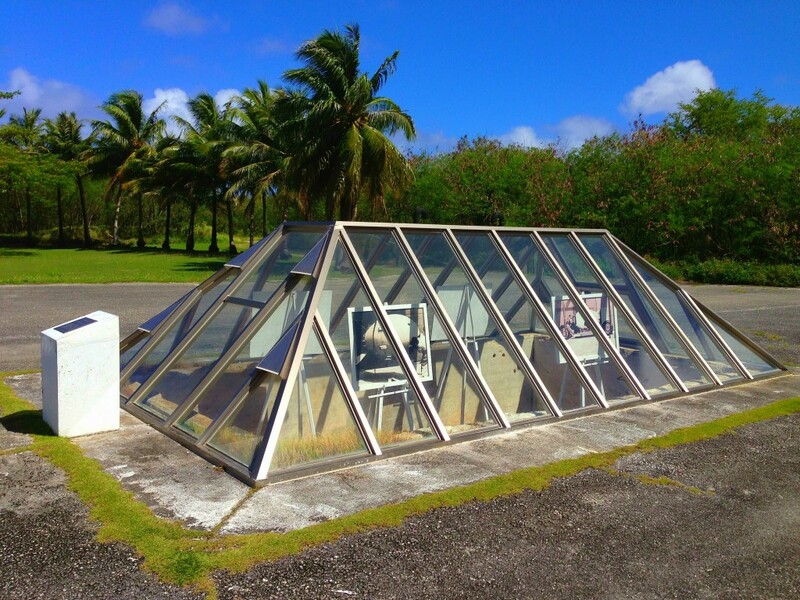 However, it’s what’s beyond the surface that makes Tinian one of the most fascinating places I have ever visited. 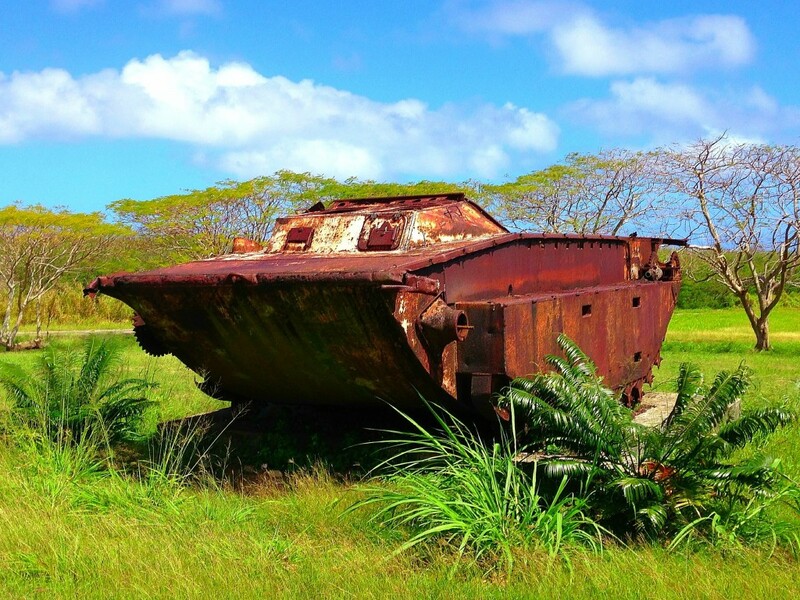 The small, sleepy island of Tinian was once the single largest military base in the world. At one point in 1945 there were six working runways with lines of warplanes ready to attack at a moments notice. The construction project to turn Tinian into such a base was a massive construction undertaking-the largest of World War II. 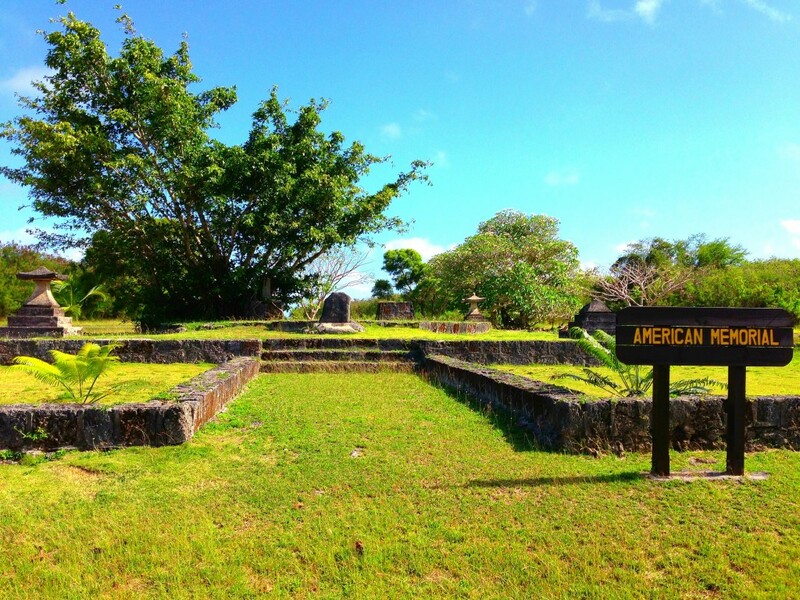 Tinian holds a notorious place in history. 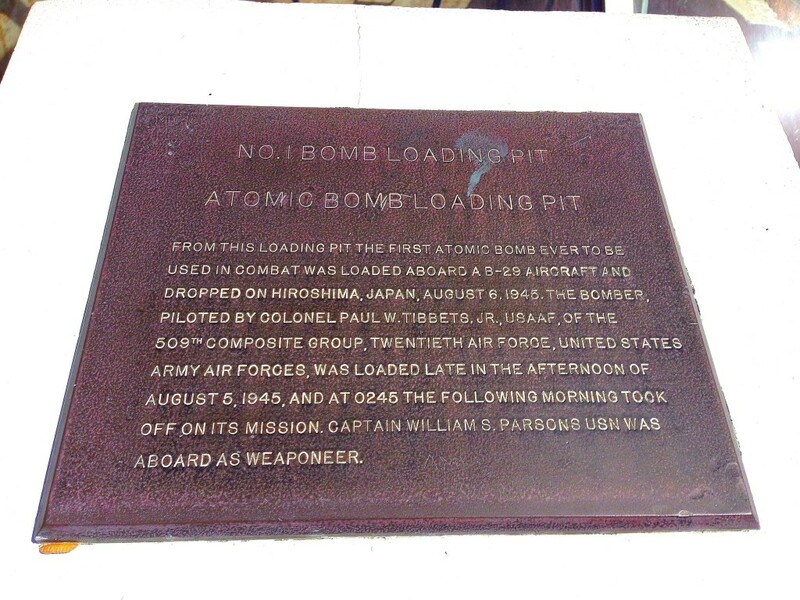 It is the place where the aircraft that carried and dropped the two atomic bombs that ended World War II were loaded and took off from. On August 5, 1945 the Enola Gay B-29 was loaded with a four-ton uranium bomb code named ‘Little Boy’. Early the next morning of August 6th, it took off and 6.5 hours later the first atomic bomb was dropped on the city of Hiroshima, Japan. 75,000 people were instantly vaporized and an estimated 200,000 died as a result of the bomb. 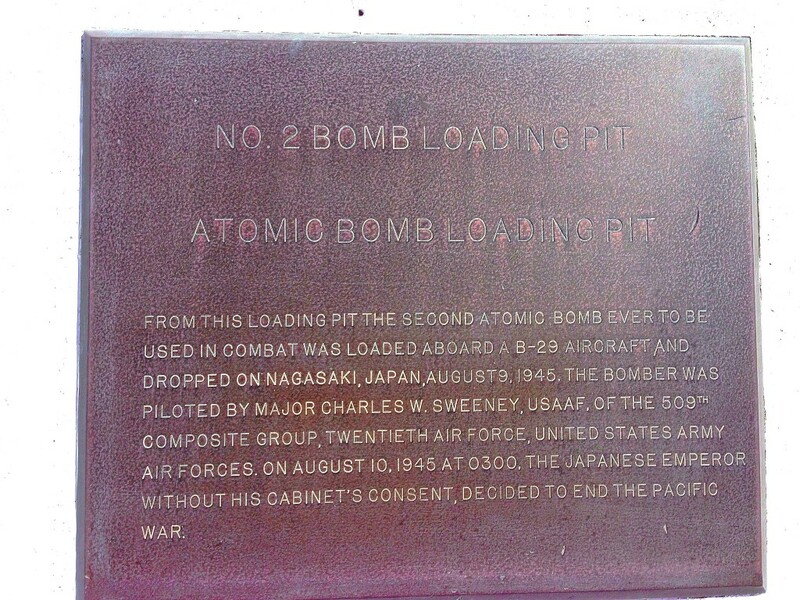 On August 9, 1945 another plutonium atomic bomb was loaded into a B-29 plane on Tinian. The drop point was Nagasaki, Japan. Another 75,000 people died instantly and an estimated 75,000 more died of radiation effects afterwards. A few days later the war was over. Japan surrendered and the US and its allies had won the long and brutal war in the Pacific. US President Harry Truman’s decision to start the age of atomic warfare was surely a difficult decision but I think it was the right decision. If the bombs had not been dropped the war in the Pacific would have raged on for at least another year and likely more. Hundreds of thousands more casualties would have been endured on both sides and with the war in Europe already over the backlash from the American public would have been overwhelming. As agonizing a decision it was and how awful the after effects were, Truman made the right decision. 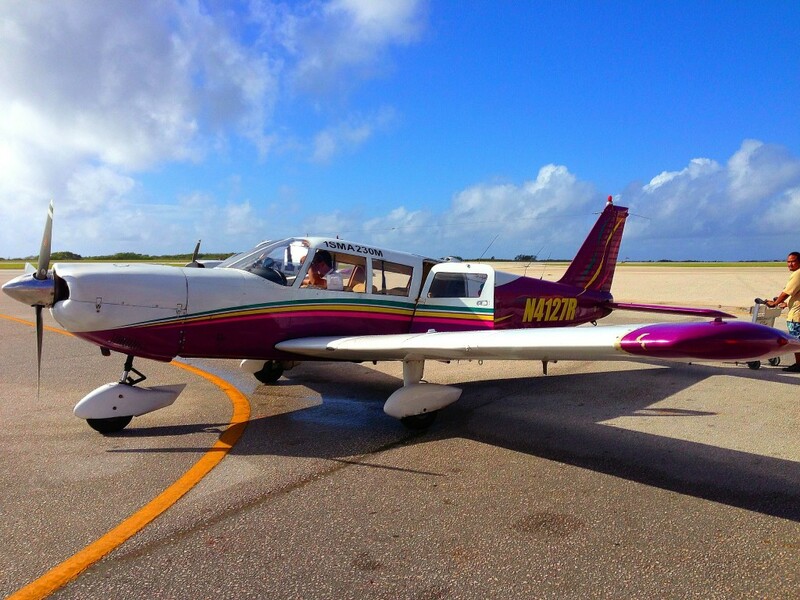 Now, the 6 runways on Tinian are down to just one functioning runway, which is where I landed via small private plane on Star Marianas Airlines; which runs 5 seat charters several times a day from Saipan. Once at the airport, you can rent a car for a few hours or overnight if you decide to spend the night. 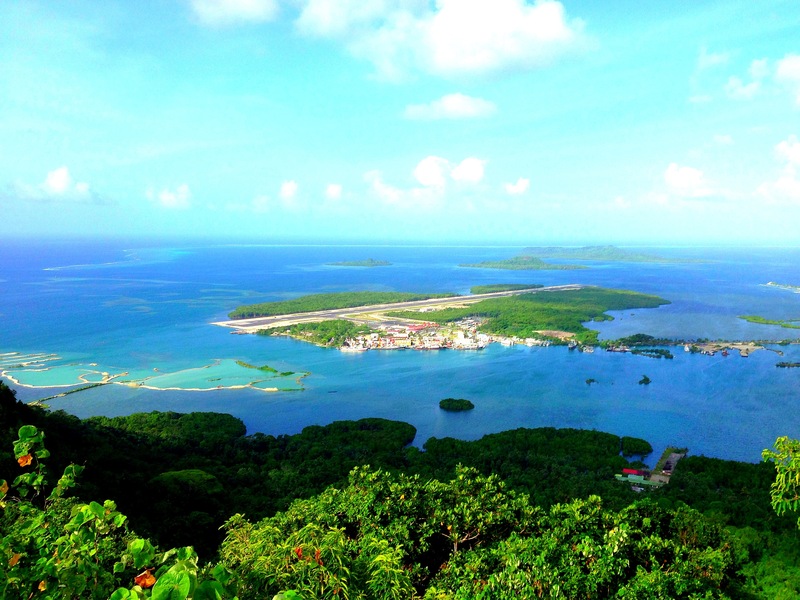 Tinian is only 5km from Saipan and the flight is only 10 minutes and only costs $24.50 one-way. My Uncle David (whose father, my grandfather served in WWII) and I rented a car and headed north to see the World War II sites. Most of the north of the island is completely abandoned although the roads that go north and south are called Broadway and 8th Avenue. During the war, the soldiers thought the island resembled the shape of the island of Manhattan in New York City so they named the roads they constructed as such. The cross streets are 96th, 86th, 42th etc. I agree it does resemble Manhattan-where I live. There are a few cool memorials along the way such as the American Memorial. There is even a blowhole and beach to check out on the east side of the island off Broadway but the main attractions are up at North Field. During the war there were four active runways at North Field: (in reverse alphabetical order) Delta, Charlie, Baker and Runway Able. 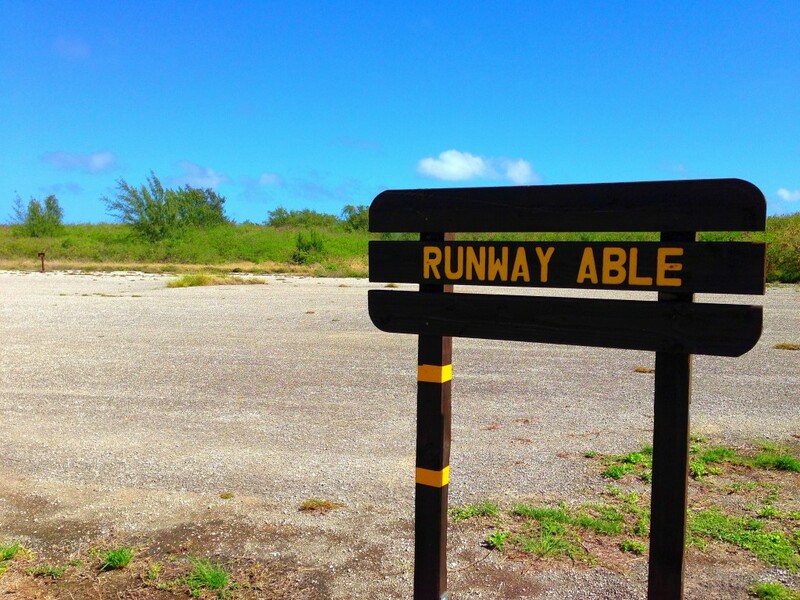 Runway Able is the infamous runway where the Enola Gay took off. Today you can drive on it. I have to say-it is an eerie yet exhilarating feeling to do just that. As many of the roads around north field are overgrown these days and the maze of roads is confusing-you soon find yourself at the atomic bomb loading pits. It is one of the most profoundly interesting things I have ever seen. To think of the magnitude of what happened in those two exact spots not even 70 years ago is somewhat mind blowing. As a student of history and especially World War II history, it was a serious thrill to be at this historic spot. 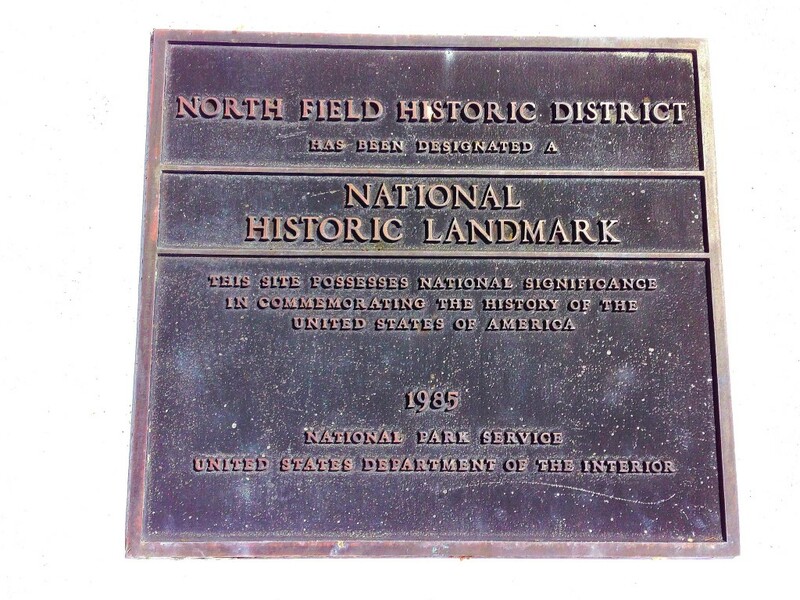 Apparently the US Government agrees and they have designated the area a National Historic Landmark. I would argue that the dropping of the atomic bombs on Japan was the single most significant moment in the history of humanity. That is no exaggeration-think about it. There are two loading points, one on each side of the field about 100 meters from each other. They are encased with glass with plaques describing what happened in these spots in August 1945. There are also pictures inside the glass encasements. 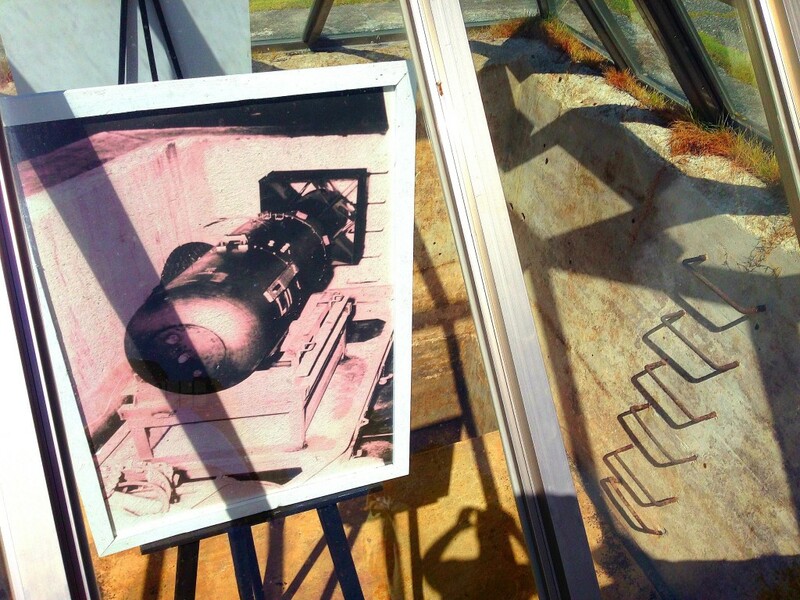 Some actually show the bombs being loaded and you can recognize the actual spot you are standing in the picture. Again, it was a real eerie thrill. I was living history. Elsewhere around North Field you can see plaques to commemorate the fallen heroes of the war and lost battalions. 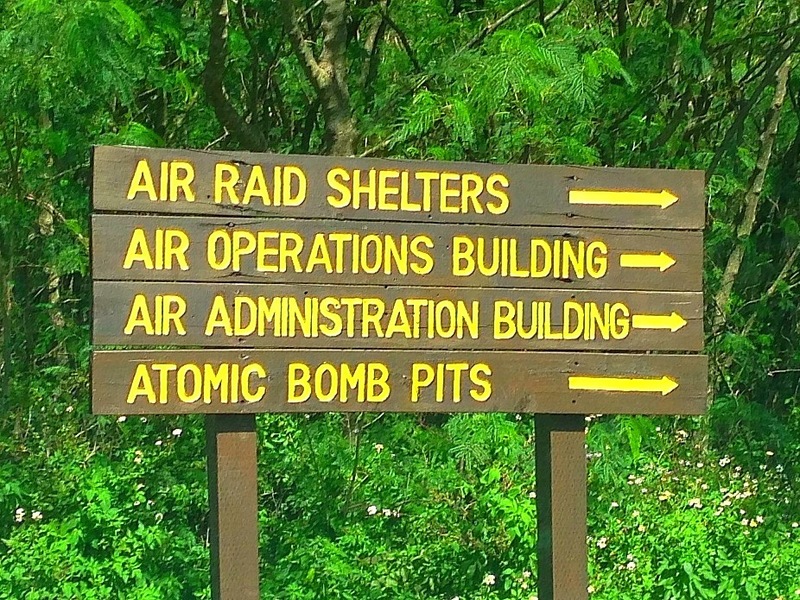 You can also visit old air raid shelters and the old communications buildings. Most of which are dilapidated at this point but still fascinating. Just to the west of North Field is Chulu Beach. 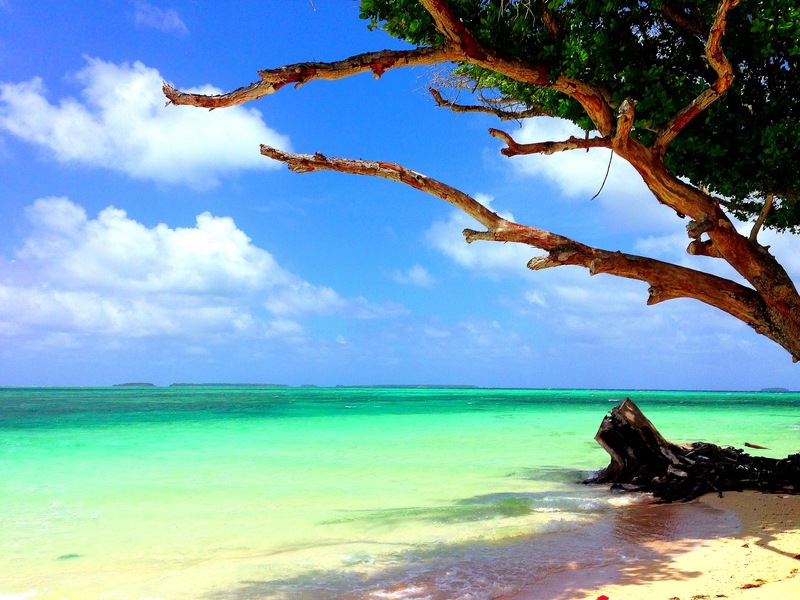 Chulu is an attractive beach and was the landing point for the US soldiers when they took the island. Today it is calm with the only remnants of the war being a bomb shelter just off the beach. 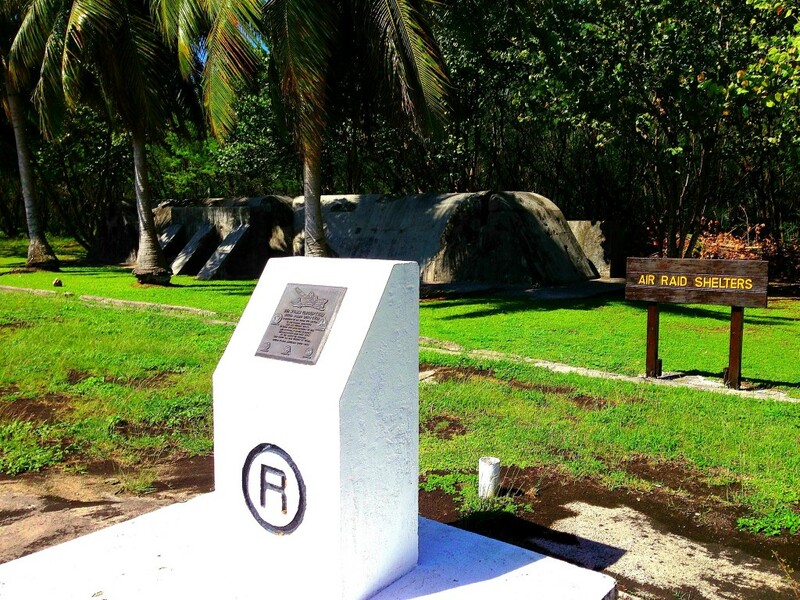 As you head down 8th Avenue back toward the town of San Jose, you will pass a few other memorials and relics such as one of the landing vessels that dropped the soldiers off at Chulu Beach and then the Seabees memorial. Again, words cannot describe how fascinating I found these sites. There isn’t much in the small village of San Jose. 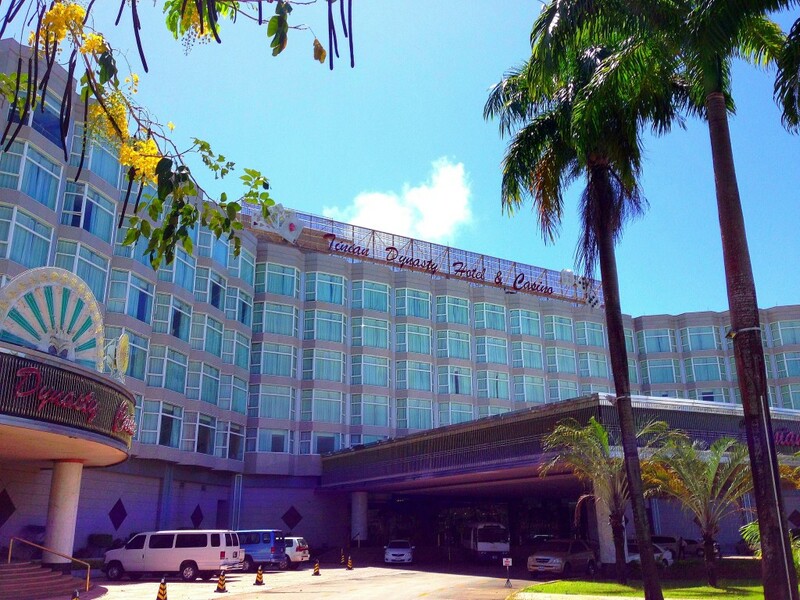 The predominant thing is far and away the Tinian Dynasty Casino. It is grandiose and completely out of place. We went in to have a look and have lunch. 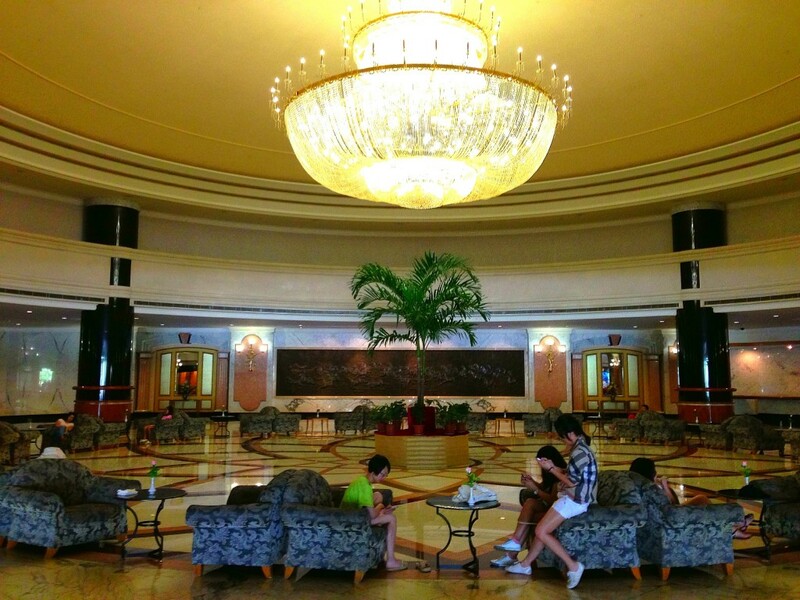 The main lobby is massive and all marble. The clientele is almost all Asian and the casino, rooms and food are catered to their tastes and desires. The gaudy and tacky resort is definitely worth checking out just to say you were there but I would not recommend staying there or spending much time in general. 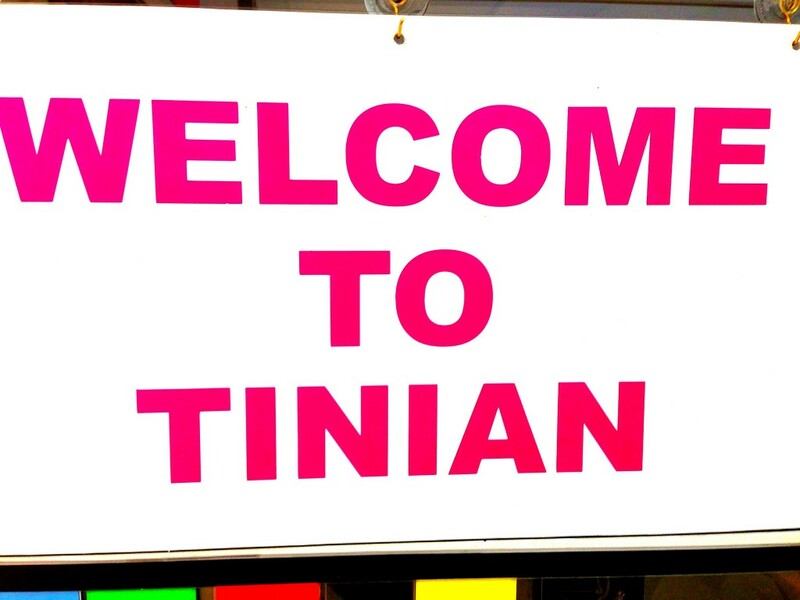 Tinian is and should be a day trip from Saipan or even from Guam as we did it. It’s not often where I get really excited and anxious like a kid in my travels these days. My last trip to the Commonwealth of the Northern Marianas Islands (CNMI) was three years ago. I was told to not waste my time on Tinian so I didn’t go. The person who told me that was dead wrong. 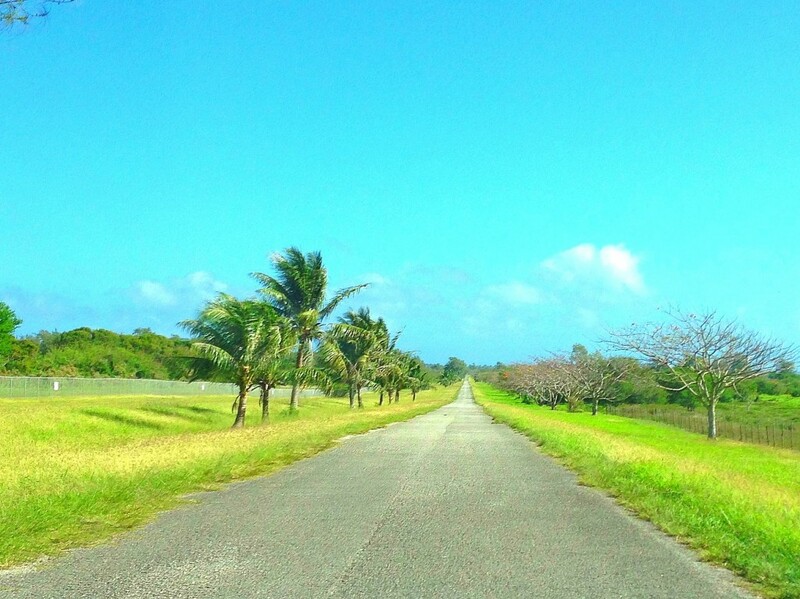 Tinian is fabulous. I got the same feeling I got when I visited Midway Island, Guadalcanal or some other major WWII battle sites in the Pacific. 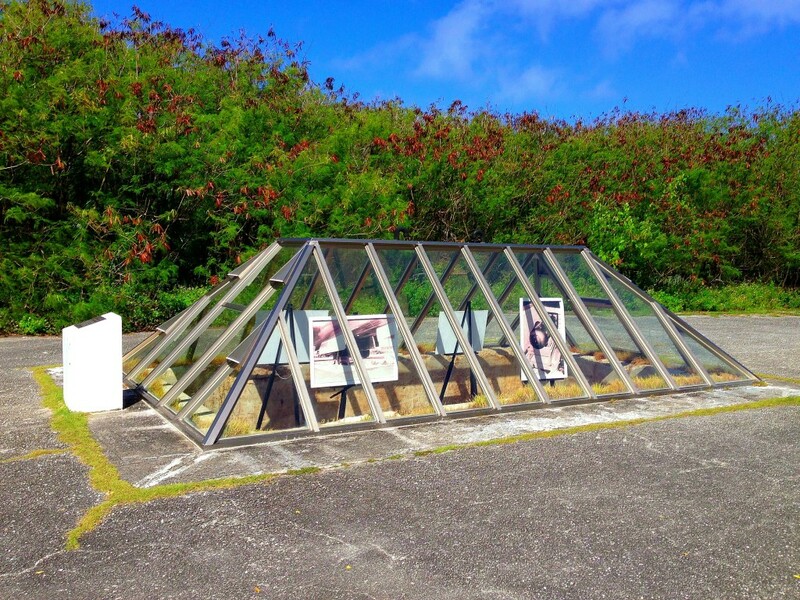 Whether or not you like history you should see Tinian if you’re in the CNMI. I hope no one reading this thinks that I am in favor of nuclear warfare or war in general because I am not in the slightest. However, I love history and love to learn and experience things as they are or were. History is history and should be learned and experienced as so. Whether or not you agree with Truman’s decision to drop the bombs is your own prerogative and just remember that hindsight is 20/20. The way I look at it, I try to put myself in his place at that time with the weight of the world and certainly a nation that had sacrificed so much on his shoulders. That’s the fun thing about living history. It helps you understand and learn. You can put yourself there, at that crucial moment in history. That’s my favorite thing about travel…living it viscerally. Wow what a historical trip Lee. Sounds like you experienced and learned a lot. 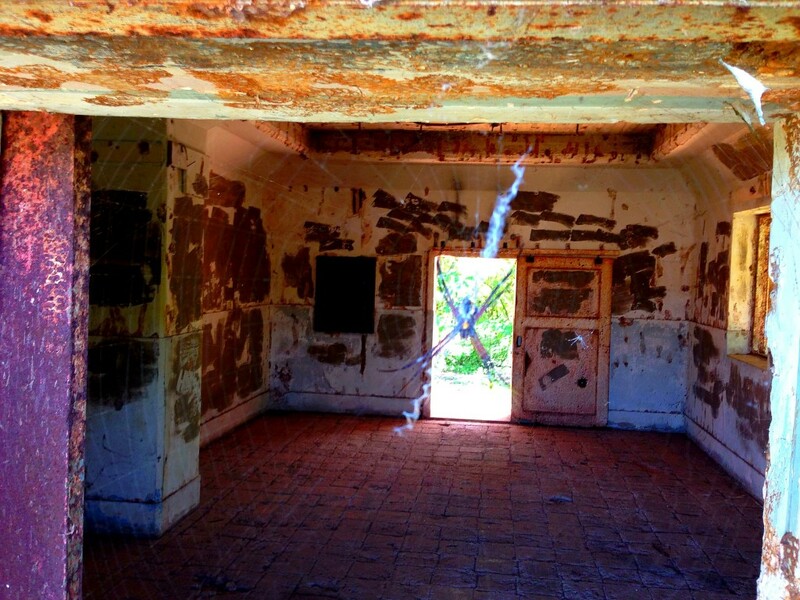 I love your enthusiasm for Tinian and for the historical significance, it’s inspiring! Thanks Michelle, it was an inspiring place…as a history buff I was like a kid in a candy store! Fascinating post Lee. Sounds like a history junkies dream trip. It must have been weird to be where the start of so much destruction began. Did it feel weird? Are there any guards there at all? Wow that sounds like an amazing experience. I felt similarly when I visited Pearl Harbor and the 9/11 Memorial. I know it’s a little different but still that eerie feeling is prevalent. Great story! 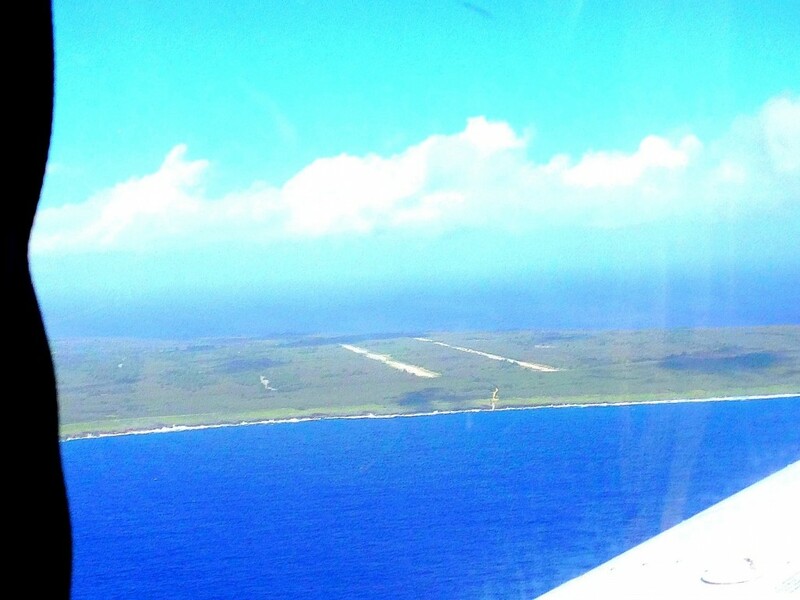 Makes me wish I had gone to Tinian when I was in Guam. Ya I am sure glad I went this time because I didn’t go last time I was in Guam. 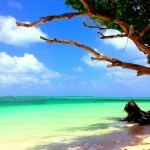 I thought it was more interesting than both Guam and/or Saipan and I like both those places as well. There’s a company out of the DC area called Military Historic Tours that runs a charter out of Honolulu some years to Midway to commemorate the battle. I don’t know if they still run it or if it’s every year but you can check out their page to see if they’re offering it…it will be in early June if it’s going. I imagine it will be of special interest to you with your family connection. 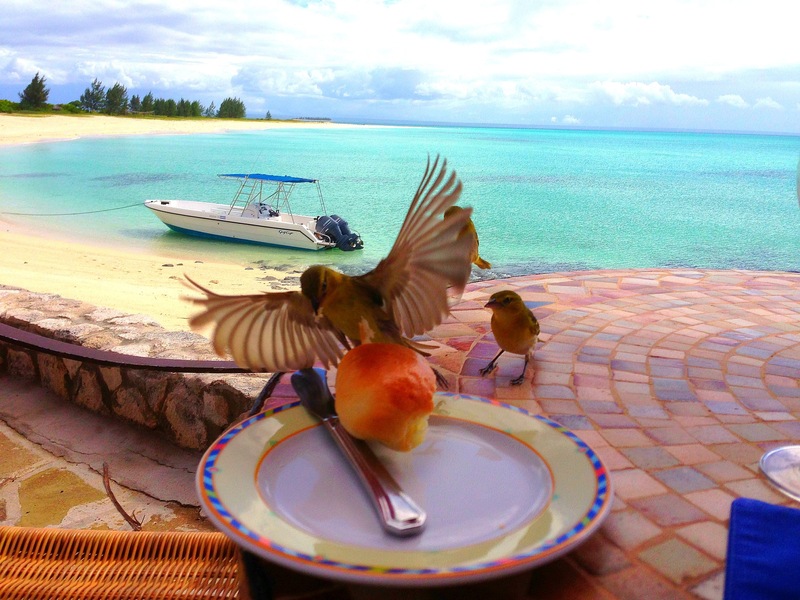 Very interesting post with some great photos! 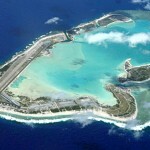 I’d love to check out Tinian — I’ve seen the atomic bomb casings in NM at White Sands Missile Range. 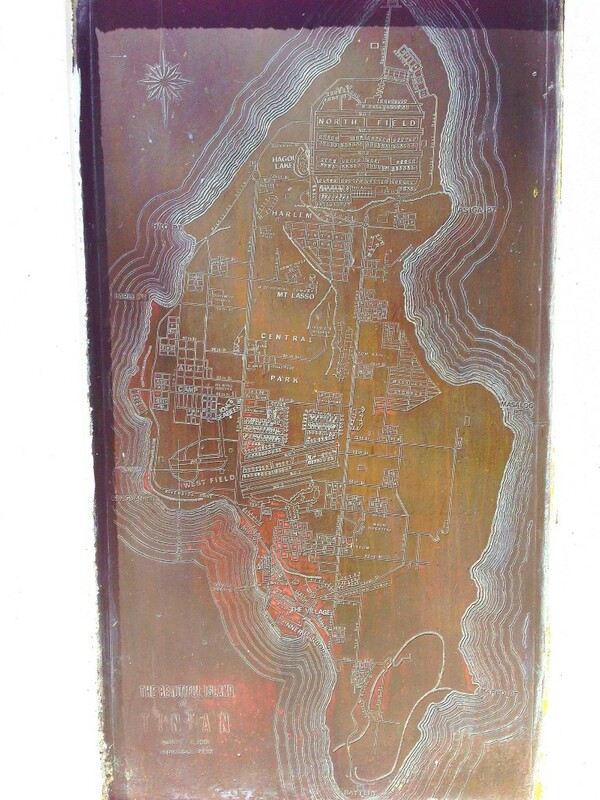 If you haven’t been there, you may enjoy checking it out. Nearest airport is El Paso. I was there in March one year for the Bataan Memorial Death March race and the opportunity to hear survivors from Bataan tell their stories was one of the greatest experiences of my life. White Sands is the one thing in New Mexico I haven’t been to. Will definitely have to check that out. I am planning another road trip in the part of the country soon and will definitely include that. Thanks for sharing. Oooh, and of course there’s the White Sands National Monument there too — beautiful white sand dunes. But the Missile Range’s museum may be of more interest to you. You should definitely add it to your road trip list. For sure…Roswell too…just to say I was there! Lee, my grandfather was a Seabee on tinian. My parents were cleaning out the attic and found the equivalent of a yearbook that was made for everyone who was there. It is really interesting. I enjoyed your pictures very much, but was sad to see you refer to the runway as infamous. Many lives including very likely my fathers were saved on that day, please consider changing that word. My father was there in the Seabees in world war 2. After he died my mother gave me his diary and some old photographs and I went there. In 1993 the bombpits were still covered and had debris in them. I was the only person there. I meant to say the bomb pits were uncovered, not covered, 21 years ago. And there were no memorials to note what had happened there. And there was only a small motel with with a little restaurant. At 10:00 p.m. the lights on the island went out when the only generator was shutdown. 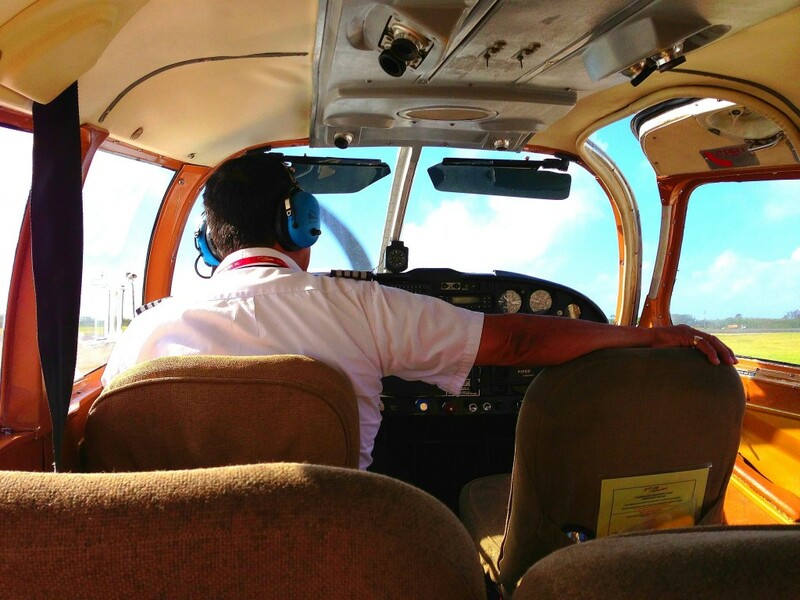 Flying to Tinian from Saipan I was the only passenger on a Cessna Caravan. 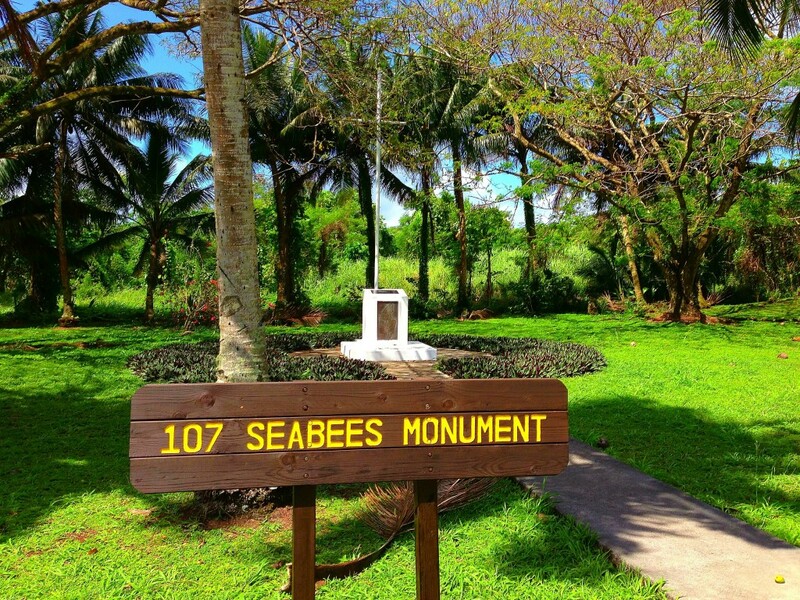 A memorable experience however knowing that my father had been there 50 years earlier in the Seabees in world war 2. Fantastic photos as well! Am I totally lost, or is that a spider illuminating the doorway? If so, pretty creepy looking spider. I think that is one of the reasons I could never ever travel to some tropical countries! haha 🙂 Speaking of New Mexico (I know that post was a year ago), but we were just at White Sands, and it was so fantastic! The sand dunes aren’t super huge but it goes on for miles of just beautiful white gypsum sand! We wanted to stop at the missile range but our daughter wasn’t having any of it. She’s two and knows how to throw a good tantrum when travelling too long. If you do go, bring a sled or crazy carpet, so fun to go down the dunes for any age. Thanks to Steve for forwarding this to me and a big thanks to the original poster. In 1967 I was able to get an R&R from Vietnam to have a 1 week visit to Tokyo. When I wrote my mom to tell her, she was taken back, it was only a short 22 years since that horrific war came to an end. She was confused that she had a son going to the country that she was so terrified of for the duration of WW2. Our nation was terrified for those years because Japan was a nation back then that showed their resolve to destroy us and have world supremacy through violence. When I went there I was amazed at what a beautiful city it was and the graciousness of the people. My mom was amazed, but it was all made possible through two bombs that finally humbled them. With our finances and support they became a beautiful nation and a grateful ally. I have never looked at our bombings as a terrible thing, but something that saved far more American young lives and Japanese lives as well. Sometimes violence can put an end to evil agendas and produce something far better. I would certainly echo your sentiments that the dropping of these bombs, while terrible events in and of themselves, were a just decision of war which saved hundreds of thousands of American lives and potentially millions of Japanese lives that would’ve been lost in any subsequent invasion. The Vice Chief of the Imperial Japanese Navy General Staff, Vice Admiral Takijir? ?nishi, predicted up to 20 million Japanese deaths in the event of an Allied invasion of the homelands. So while the events themselves were horrific, in the end they actually saved millions of Japanese civilian lives. It is unfortunate that even after the bomb was dropped on Hiroshima on August 6, the Emperor and his government would still not surrender during the days of the sixth, seventh and eighth, choosing instead another loss of civilian life at Nagasaki due to their stubborn refusal to surrender. Thank you again for these fantastic photographs and for your site, it was interesting to travel to this location along with you virtually. I really appreciate your efforts. Thanks that means a lot! seemed, to be tales of the good and fun experiences they had. Jac related how one of the guys received a package from home that contained a can of Spam which one of crew took to flinging it towards the beach. Later that evening, feeling the pangs of hunger, they went to find that can. Jac told me it had crossed the U.S. to greet 107 Vets at their annual reunions. Jac left us in 1991, God rest his good soul, and I’ve since wondered if any of his fellow Seabees remember that welcoming plam tree? It seems to be a nice place to visit. Amazing pictures. While reading i felt i was in that place, thanks for sharing. Fascinating. Thank you. As a Spaniard, I am interested in these islands, which were a Spanish colony until 1898. Unfortunately, its History is not known in Spain. Thanks. Enjoyed my ‘revisit’ to Tinian with your pictures and narrative, Lee. I have almost all the same pictures you do having gone 3 years ago with my 2 brothers. We went on Military Historical Tours tour to Iwo Jima that was originated on Guam. 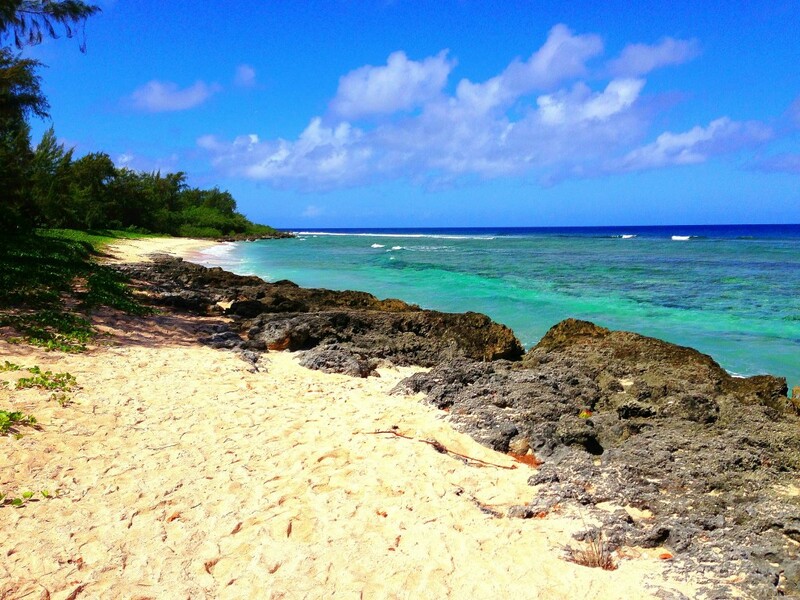 After completing the tour, we stayed back several days to visit Saipan and Tinian. We ‘drove’ all 4 runways at North Field, only we were simulating being in an aircraft doing a takeoff. Delta was the only runway that was almost impassable. Bravo was the best. We really enjoyed seeing everything we could see around the bomb pit area. Even though we saw much of what that island has to show, I want to go back, so maybe again in two years. Thanks for your work here!